Leading Manufacturer of carbide measuring pins, steel measuring pins, measuring pins and measuring pin from Pune. We are involved in supplying quality Carbide Measuring Pins, which are widely used for measuring the diameter of several machinery parts. 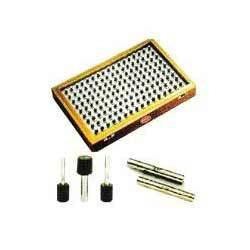 These pins are manufactured as per industry standards and customers’ requirements. We subject these pins to regular quality checks based on multiple parameters to ensure that the desired quality standards are being maintained. We are among the prominent manufacturers of quality Steel Measuring Pins, which are widely used in the automobile industry. 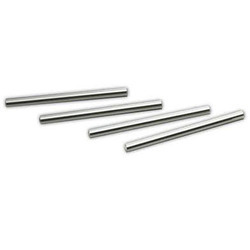 These pins are designed accurately for measuring the diameter of internal and external gears. The offered pins are designed by our technical professionals and are manufactured using supreme quality steel. Looking for Measuring Pin ?